Believe it or not, there are more than just 2 ways to eat green beans. You are not limited to just plain old boiled green beans or green bean casserole when it comes to these yummy little vegetables. I was a kid who liked pretty much any vegetable growing up. My mom never had to coerce me with dessert to get me to eat my veggies. I remember green beans being one of the vegetables my sister hated, but I always liked them, even though they were usually just heated on the stove top plain when I was young. Even though I love green beans plain, I know some of you require a little more flavor to love your green beans. 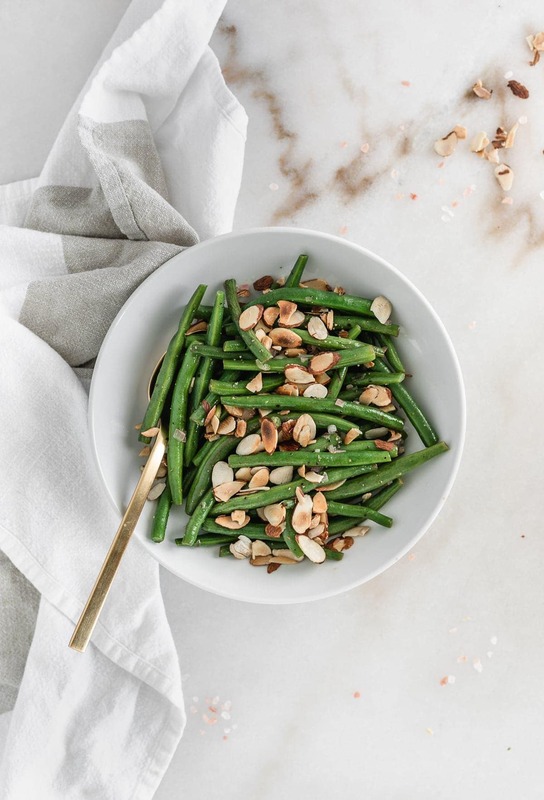 That’s why I’m sharing this yummy recipe for Green Beans Almondine (or Amandine, depending on who you ask) with you! 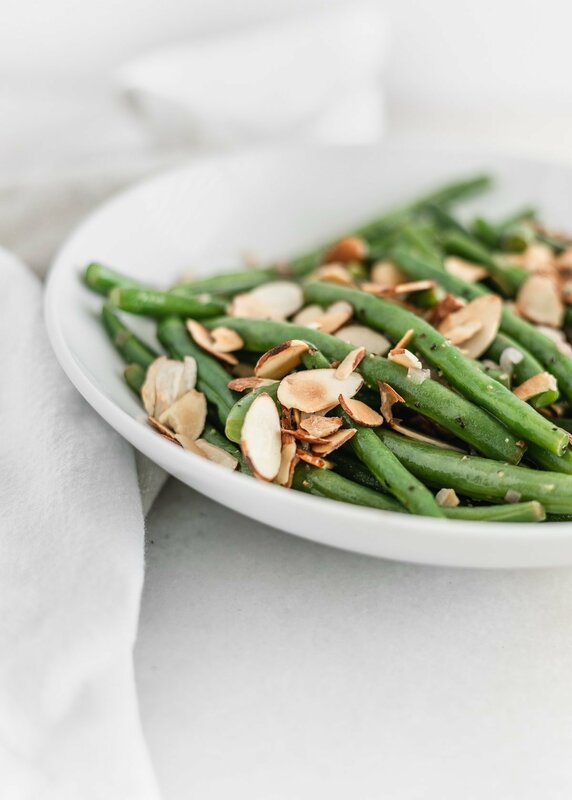 Green Beans Almondine is a delicious, healthy way to serve green beans. 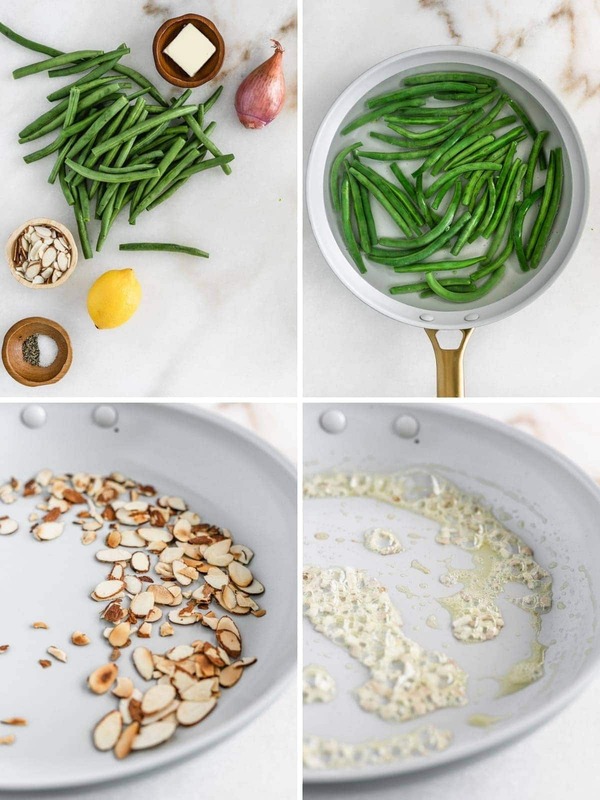 The beans are blanched until tender-crisp, then sautéed in a savory lemon butter sauce and topped with toasted almonds. It’s a delicious side dish to go with any dinner. Green Beans Almondine is also a great side to share with your family and friends for Thanksgiving dinner. If you want something other than the traditional green bean casserole, this dish is a little lighter, and perfect alongside your turkey and dressing! Many recipes call for the almonds to be toasted in the skillet with the butter. I prefer my almonds nice and crunchy, so I toast them in the oven and sprinkle them on last, but you can certainly add them straight in with the butter if you prefer. This dish is easy to make vegan, simply replace the butter with more olive oil. 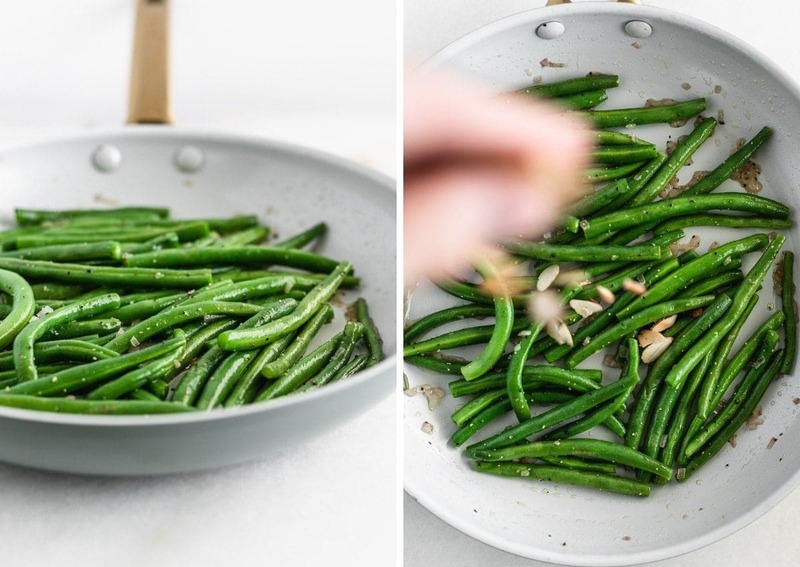 Are you a green bean lover or hater? Tell me in the comments below!